40% OFF on Partials and Complete Dentures. Start your new smile makeover today! 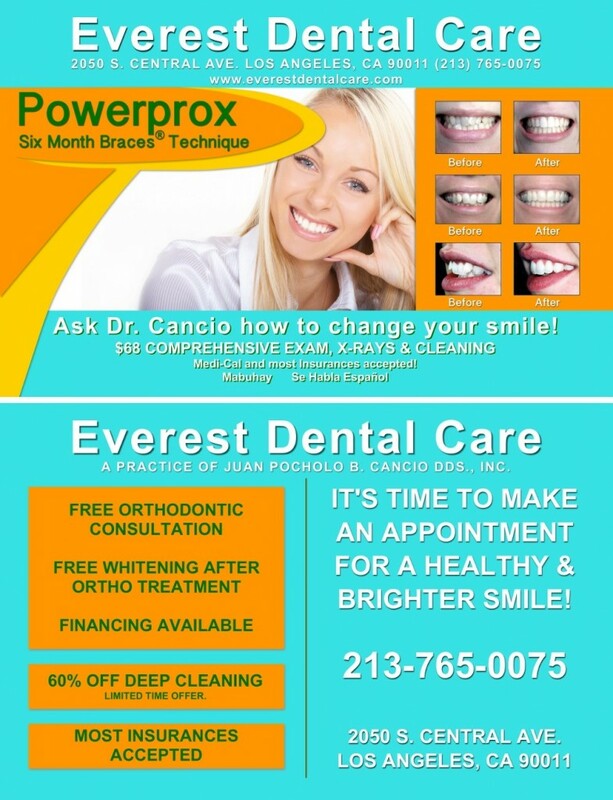 Request an online appointment to see Dr. Cancio at Everest Dental Care for a free consultation. Dr. Cancio offers a wide range of dental services from prophylaxis, digital x-rays, veneers, root canal therapy and snap-on-smiles. (c) 2019 Everest Dental Care - Designed by BNE Creative.